A date such as December 26th is a time of loving, opposing qualities, two people cherishing each other, and relationships that give meaning to our personal worlds. People born at this time feel things around them deeply, with their hearts open and their yearning for satisfactions of life vivid and constantly present. However, the rigid nature of their Sun sign might create a problem with the way they let go to the flow, often not as freely and flexibly as their Soul wants them to. An emotionally potent row such as this one, speaks of the ability of someone born on December 26th to put themselves in other people's shoes, and find balance in relationship with others. Although a lot of solitude and rigid choices might be needed for their boundaries to leave room for emotional cleansing, they learn with time, that there are joyful spirits among others and breathe in life into their own world. They are people of family values, tender love stories that have structure and meaning, and won’t really understand love stories of others that aren’t well-founded or deeply felt throughout the system and the synchronicities of the Universe itself. 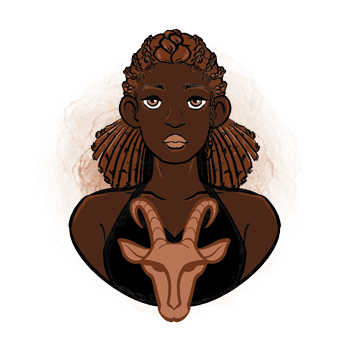 The essence of the sign of Capricorn that needs to come to terms with its opposing sign of Cancer is seen in lives of these individuals, as ego battles push them over the edge and over their personal limits, only so they can find enough compassion and love for Self to find middle grounds. Matters of respect and authority are emphasized in their second planetary row, as they seek the inner state of confidence and their strength of willpower through difficult experiences with their father, or those who are meant to be their authorities, managers or superiors. "A Group of People Outfitting a Large Canoe at the Start of a Journey by Water"
"Indians on the Warpath. While Some Men Row a Well-Filled Canoe, Others in it Perform a War Dance"
These symbols come out logically out of one another, pointing out the importance of connected steps towards the goal and ways that the foundation may be used or interpreted over time. The sail itself inspires the dance, and while fighting and masculinity come to focus in the general image seen here, there is an inspiring moment of dancing, supportive and fun, just as Venus in their planetary row is meant to be. Balance they seek will be found only when joy is brought into each segment of their lives, however disturbing or aggressive it might be. The purpose of life for individuals born on December 26th is to find a sense of home and cleanse their emotional world to be able to intimately connect with others. They seek childlike joy that is typically distant for their Sun sign, serious, rigid, and responsible as it can be. Still, they are to learn that all opposing matters are just two sides of the same coin, this putting things to perspective and giving them room to chase away shame or feelings of inadequacy with laughter and healthy humor. 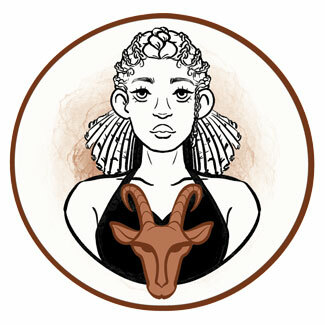 With such an intensely emotional nature and their Sun set in Capricorn, those born on the 26th of December will go through extremes, connecting on subtle levels with others but closing their heart for contact at first sign of trouble. They typically have some deep wounds to heal, and while their circumstances might seem supportive to other people, the way they perceive them is sensitive and fragile. They need true emotional support for the invisible, for matters of control and manipulation that tainted their world, so they can find forgiveness and get out of bruising experiences from the past. They need a partner who is caring and tender but open about their desires and wishes in life. When they find someone to connect to without fear, they will let go to the flow and easily form a lifelong relationship. Even with struggles and tensions with the one they chose, they tend to stay respectful and loyal, with a childlike affection for the person who sees their inner world clearly, open for interaction. It is important for them to embrace the fact that sometimes people with similar wounds simply outgrow each other, and allow themselves to change their mind along the way, so they don’t get stuck in loyalty instead of following their need to be inspired and in love every day for the rest of their lives. A Capricorn born on December 26th works well with other people, understands relationships that are difficult for other people, and this helps them excel in therapeutic work, as well as any form of help for others that need peace, such as yoga, meditation or breathing teachings. They excel in different forms of art, especially traditional dances and singing techniques, and can’t settle in a career path in work they don’t truly love. Bronzite is a wonderful crystal for a person born on the 26th of December, as it promotes peace and harmony in relationships with others, and their relationship with their own inner world. It helps their growth and allows compassion and forgiveness where it hasn’t had a chance to be found yet. It is known to send the negative energy coming one's way right back to the sender, reflecting outer influences that aren’t necessary and supportive of one's growth. Still, its protective qualities might cause shifting blame, and while a person's using it, they should work on their issues with guilt and meditate often, cleansing self-criticism and criticism of others out of their system. To make a choice of present for someone born on December 26th, you need to see their actual emotional quality before rushing to any conclusions. They will enjoy colorful gifts, healing crystals that go hand in hand with other crystals, as well as tickets for music festivals or Disneyland with the right person by their side. Whatever you choose, they will be thankful for the thought. You can take a photograph, draw or paint a painting and frame it for their bedroom, or simply buy a beautiful piece of jewelry that will reflect on their true personality. Loving, deeply emotional and supportive of others, they are the true pillar of intimate connections who understand those wounded in similar ways to the point of healing, full disclosure, and absolute trust. Loyal to all the wrong values, they could be burdened by too much responsibility of others, having a hard time setting clear boundaries with their hearts bruised and their mind tainted by beliefs that aren’t realistic. In 1893 Mao Zedong was born, a Chinese politician known as Chairman Mao, a communist revolutionary who became the founding father of the People's Republic of China. Apart from being controversial, called autocratic and totalitarian, he is also seen as a poet and visionary who promoted the status of women, improved health care and education, and increased life expectancy as population of China grew during his leadership. In 1971 Jared Leto was born, an American actor and musician, who starred in Requiem for a Dream, Panic Room, and won an Academy Award for the role of a transgender woman in Dallas Buyers Club. His father remarried after his birth and committed suicide when he was just eight, and his mother encouraged her sons to express themselves through art and creativity. In 1986 Kit Harington (Christopher Catesby Harington) was born, an English actor, best known for his role of Jon Snow in the series Game of Thrones. He only learned his full name when he was 11-years-old and held on to his childhood nickname throughout his career. 1862 – The first four female nurses board a U. S. Navy hospital ship. 1898 – The isolation of radium is announced by Pierre and Marie Currie. 1941 – A bill is signed that makes the fourth Thursday in November a Thanksgiving Day in the U. S.
1963 – The official beginning of international Beatlemania as the Beatles release "I Want to Hold Your Hand" and "I Say Her Standing There". 1975 – The first commercial supersonic aircraft in the world goes into service. 1991 – The Soviet Union is formally dissolved, putting an end to the Cold War.